While Everyone is enjoying Christmas , the Anonymous hacktivist celebrates the Christmas in their own way. They have send Merry Xmas card by hacking into the official website of Diwan Of The Crown Prince(cpd.gov.kw). The hack was announced by @AnonymousIRC in twitter " Crown Prince of Kuwait root'd to upload #AntiSec Merry Xmas Card http://cpd.gov.kw #Anonymous #LulzSec #FreeAnons"
Hacker has defaced the main page. At the time of writing, we are still able to see the defacement page. 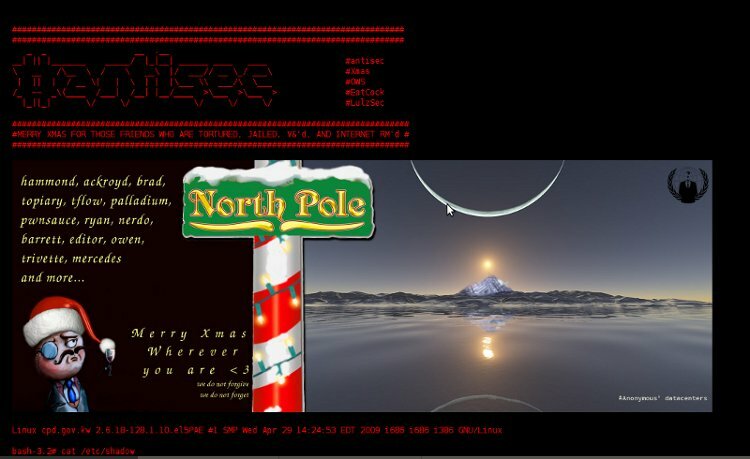 In the defacement page, the hackers has wrote "#MERRY XMAS FOR THOSE FRIENDS WHO ARE TORTURED, JAILED, V&'d, AND INTERNET RM'd #"